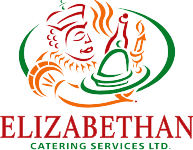 Party Trays - Elizabethan Catering Services Ltd.
A party tray is the simplest way of all to cater to a group of people. However, the contents of the trays do not have to be simple at all. Casual affairs, on a low budget, will benefit by ordering trays of food. Mix and match, and these trays will complement any event, from a Grey Cup Party to…well, you name it!! A VARIETY OF SANDWICHES ON FANCY BREADS, WRAPS AND CROISSANTS. A SELECTION OF FRESHLY BAKED ROLLS, FANCY BREADS & BUTTER. A SELECTION OF DILL PICKLE SPEARS, SWEET MIXED PICKLES, PICKLED BEETS, PEARL ONIONS, KALAMATA AND STUFFED MANZANILLA OLIVES. A SELECTION OF EUROPEAN AND IMPORT CHEESES INCLUDING SMOKED GOUDA, JALAPENO HAVARTI, SWISS, CHEDDAR , MARBLE CHEDDAR PEPPER JACK AND A CHEESE BALL. A BASKET OF FANCY CRACKERS TO COMPLEMENT ANY DISH OR NIBBLE ON THEIR OWN. ELIZABETHAN SPINACH DIP IS IN A FRESHLY BAKED LOAF WITH SLICED BAGUETTES. SHRIMP & CRAB BLENDED WITH A HINT OF PERNOD FOR A WONDERFUL DIP, SERVED WITH FRESH BAGUETTES. HOMEMADE PITA WEDGES WITH YOUR CHOICE OF SALMON CAMEMBERT, HUMMUS,OR TRIPLE OLIVE FETA DIP. A SELECTION OF FRESHLY CUT VEGETABLES, CARROTS, CELERY, CAULIFLOWER, BROCCOLI ETC. SERVED WITH A DELICIOUS DIP. A SELECTION OF PINEAPPLE, HONEYDEW MELON, CANTALOUPE MELON, GARNISHED WITH ORANGES, KIWI FRUIT AND GRAPES. AN IMPRESSIVE VARIETY OF DECANDENT PASTRIES MADE BY OUR PASTRY CHEF. ALL DIGITAL CAKES MUST HAVE A HIGH RESOLUTION IMAGE FOR IT TO BE OUTSTANDING. AN IMAGE OF AT LEAST 1MB OR HIGHER IS ESSENTIAL AND IS THE RESPONSIBILITY OF THE CUSTOMER TO PROVIDE IT. WE CANNOT ACCEPT AN ORDER WITHOUT AN IMAGE OF THE REQUIRED FILE SIZE.